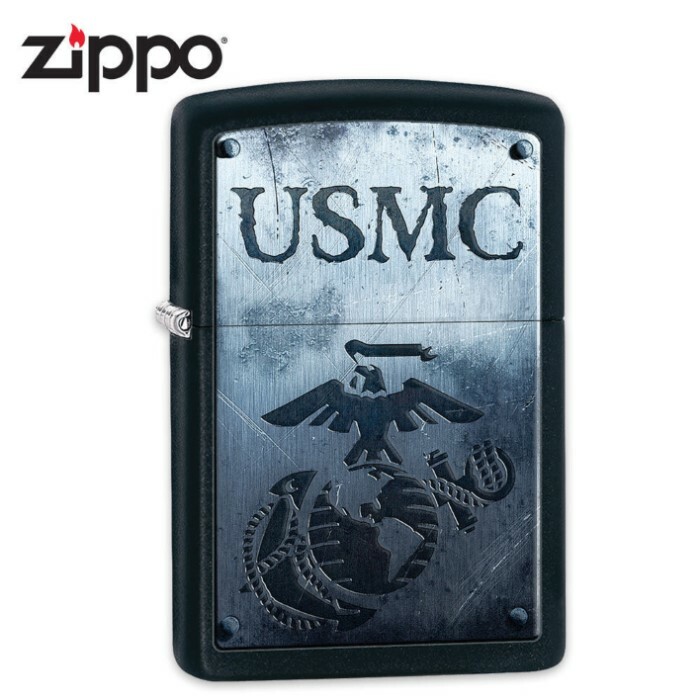 Zippo USMC Lighter | BUDK.com - Knives & Swords At The Lowest Prices! Show your USMC pride with this lighter from Zippo. The black matte finish lighter offers a full-color steel-like design on the front with the USMC logo. Comes in an environmentally friendly gift box.